In San Diego but don’t have a lot of time to see the sights? 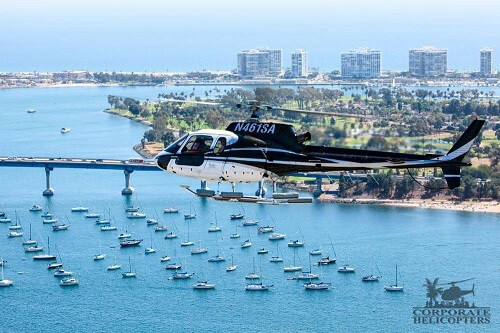 Skip the tour buses and whale watches and get an unbeatable view from the air with Corporate Helicopters. One such example is Coronado Island’s has giant letters, which are invisible to those on the ground. 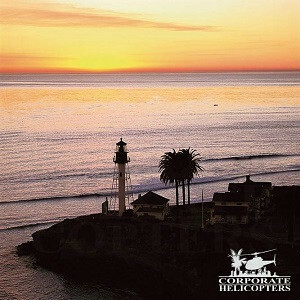 There are also hidden beaches and magnificent oceanfront estates along the North County coastline that the pilots will point out. For those who do have some time to spare, Corporate Helicopters offers longer tours, like the Winery Lunch Tour. They’ll take guests from San Diego to Temecula’s Thornton Winery for a spectacular afternoon of gorgeous views and wine tasting unlike anything else.